August Music for the Working Class! It’s time once again for the Portland IWW’s monthly Music for the Working Class! No cover charge! Drink discounts for union members and service industry workers! 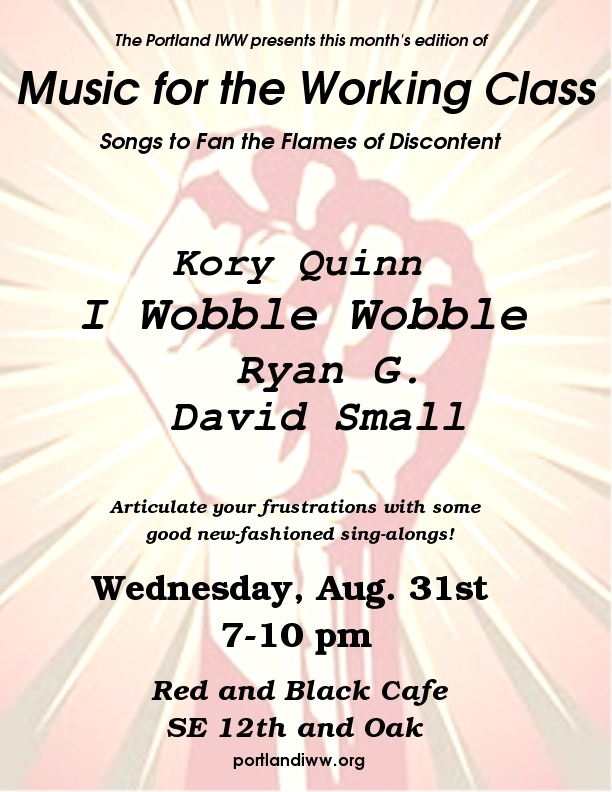 So come on down to Music for the Working Class and enjoy an evening of songs to fan the flames of discontent!